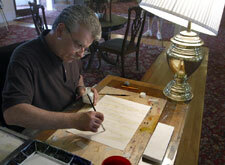 Sal Contreras is a renowned New England Artist working primarily in Watercolors. Sal was born in David, Panama. His first exhibition was when he was seven years old. 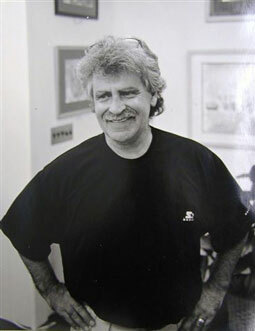 Sal moved to the New England area in 1978 and recently relocated to Millbrook NY. “I am self-taught, with an architectural drafting background as an influence.” Sal’s paintings express his love of nature and the beauty that surrounds him in every aspect of life. His spiritual nature expresses itself with every brushstroke and emotion that his paintings portray. His love and quality of watercolors transcends paper and paint. Until recently , Sal was the Artist-in-Residence at the Majestic Mount Washington Hotel and Resort in Bretton Woods N H. His gallery was located there and Sal taught watercolor classes and conducted workshops for all levels. His paintings are in demand both nationally and internationally. Sal’s commitment to his creative energy is truly inspirational and his devotion to his artwork is obvious at first glance. It is a true delight to see so much emotion in each painting that has been created from his hands.